Parents are always curious who is teaching their child and who are working at the school. And how nice is it when they can link a face to a name?! 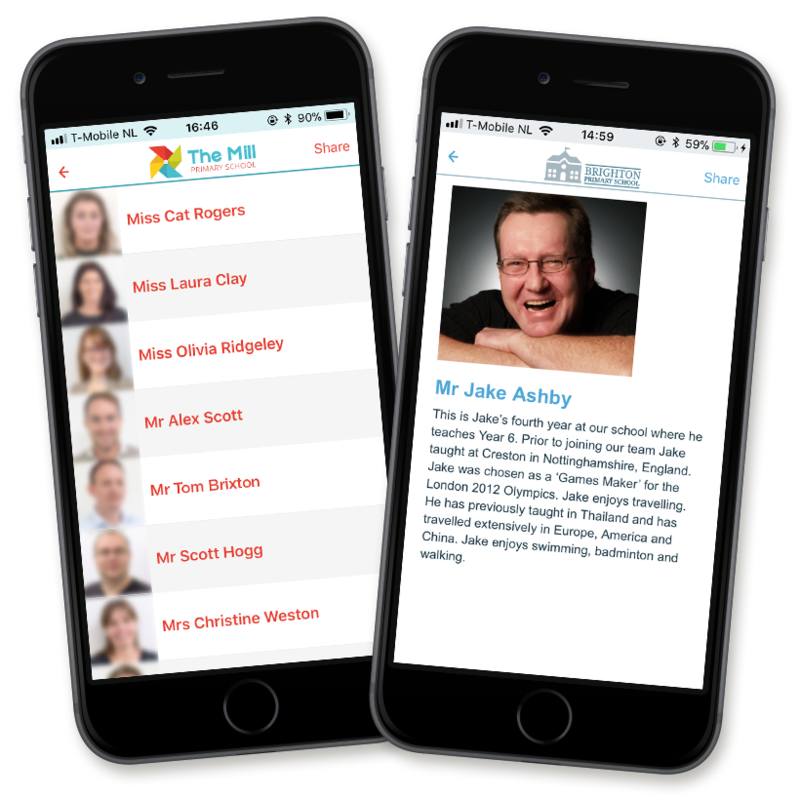 We provide you with a handy tool to present your employees in the app. Add photos and descriptions and even make it possible to contact the person directly by adding the contact details. This way you can easily introduce new teachers to the parents.